In the 12th century contacts between Ireland and the Continent increased and in 1142 St Malachy of Armagh invited a handful of Cistercian monks from Clairvaux to found the first Cistercian abbey in Ireland at Mellifont. Later in the century the Anglo-Normans invaded. More Cistercians arrived from England and Benedictines and Augustinians also built monasteries. The invaders built many large castles and churches. New architectural styles such as Gothic were used and small stone buildings were rarely constructed. The next four centuries saw the building of hundreds of churches and castles many of which are still in use. At the Reformation church building ceased and many churches fell into disrepair or were demolished. 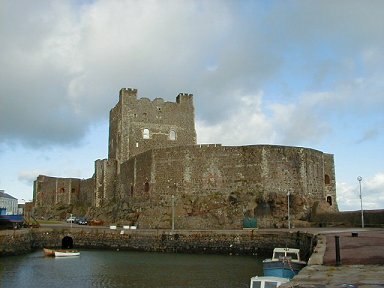 By the 15th century large castles were no longer being built and in the following two centuries hundreds of tower-houses were built all over Ireland.